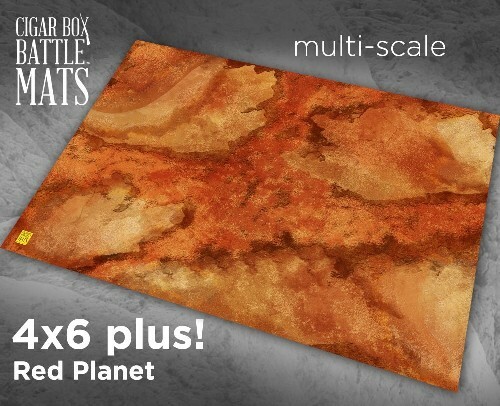 This is the perfect mat to use for your Science Fiction games on The Red Planet! Games like In Her Majesty's Name and Beyond the Gates of Antares. Of course it would also work perfectly for many other popular science-fiction, RPG and fantasy sets of rules! Let your imagination run wild! CBB mats make gaming easy... just put down some hills, cover with the mat, add some buildings and terrain, a few troops...and you are ready to roll the dice!